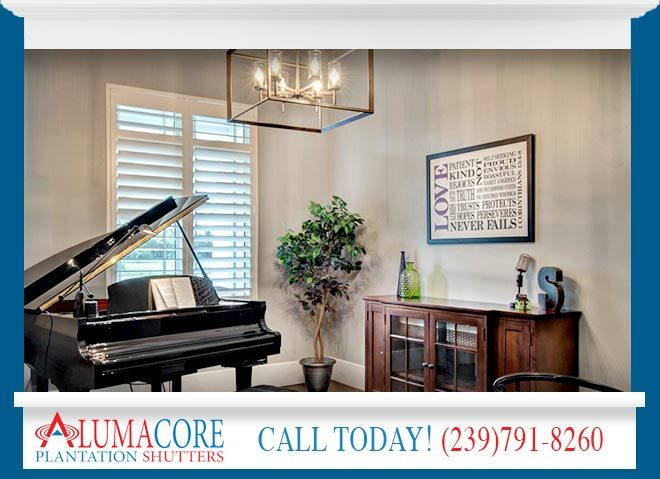 My name is Tyler Leach, owner of Alumacore Shutters and I would like to help educate you on plantation shutters so you can make the best choice for you windows. Are you dealing with a shutter company you can trust? We are here to provide the best service to our clients with a quality shutter engineered and manufactured to last a lifetime. Plantation shutters are investment for your windows; we want to help make sure you select the right product for your home. Are you dealing with a company that gives the best advice for the proper fit and finish for your windows? Our certified dealers have years of experience with plantation shutters. They have wonderful solutions for each window to help with the selection of product. Do you want to deal with a company that would build and sell these shutters to their own friends and family members? We would not manufacture plantation shutters we would not sell to the most important people in our lives. A majority of our dealers have either purchased our shutters for their own home or a family member’s home. This is one of the highest compliments we have ever received, the trust we have developed with our dealers and their family members means the world to us. Better quality with an aluminum core in every inch of our shutter louvers and stiles. Why is this important? Simple put, stability and peace of mind. To us, if you are purchasing a shutter with an aluminum type core you expect to receive a product with aluminum, right? Unfortunately, many companies use aluminum “where needed” in their shutters. What exactly do I mean by “where needed”? After a certain panel size a company will add aluminum for example, any panel of 28” inches they will add an aluminum reinforced louver. Any panel under 28” inches often times will NOT have aluminum. We believe if you purchase Alumacore Shutters, you believe you have purchased an aluminum reinforced product, so that is what we supply! Why is aluminum in every inch of our louvers so important? Unfortunately, we have seen other poly shutters without aluminum fail over time just because they did not have the reinforcement. As to the best of our knowledge, we are the only shutter company that makes an aluminum reinforced shutter with aluminum in every louver.